Micah and Hana are secretly hacking into the Corinthian site after the casino is destroyed, they use it as their meeting place to communicate and "redecorate" the site with their cyber graffiti. They start to snoop around in Linderman's archive. The story line is leading into the search for Richard Drucker. 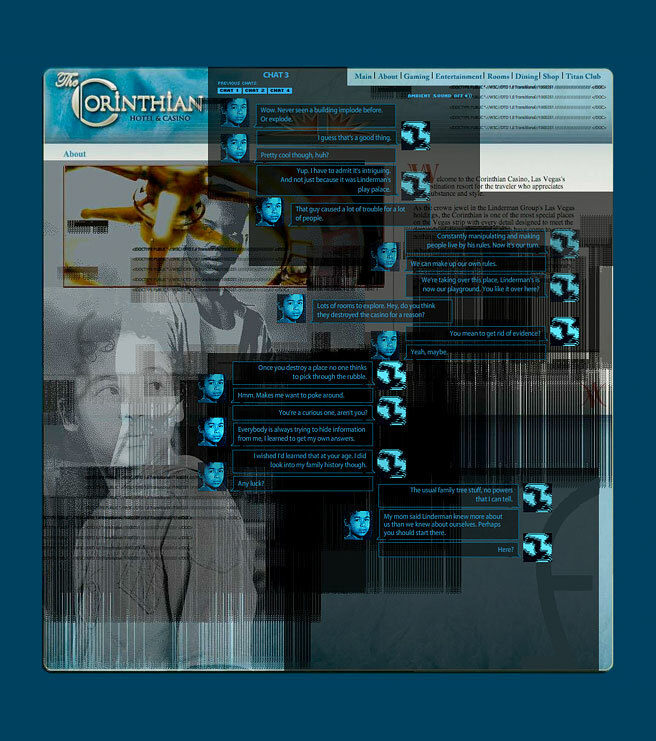 The conversation between Micah and Hana went on for 5 weeks, click the animated mockup to see one example, chat 3, right after Micah sees the video clip of the casino's destruction.